Do you want to learn how society and the economy can be greatly streamlined and improved? This book offers a revolutionary program of 10 great, innovative ideas that would completely change the face of the economy, making 21st century society equal and just and the economy efficient and user-friendly. This is the way to a more just and reasonable economic reality for all! 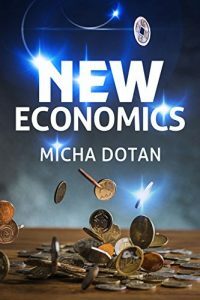 In New Economics, author Micha Dotan offers a revolutionary program of ten innovative ideas that, at least according to the author, could change the face of economy and the world, forever. Some highlights of the program are: one tax, supervision of pricing and advertising, fairer methods to determine wages, new ways to buy apartments, and policies on fairer contracts – and much more. 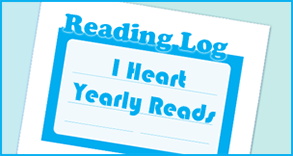 However, what intrigued me the most was the idea of one tax. I hate taxes (who doesn’t?) Here in Belgium, perhaps more so than in some other countries, taxes are crippling. While the reason we pay them is to re-distribute wealth, this is only part of the reason, and the re-distribution doesn’t always work well. People in need still don’t get help, people who don’t need help do get it, etc. The system isn’t fair, and taxes are skyrocketing. While double taxation is prohibited by law, it often happens anyway, through “masked” or “hidden” taxes. I like the idea of one tax to solve, or potentially solve, this system. Some other ideas were interesting too, but I was also wary of some other ideas the author presented, like the limits on buying and selling of stock shares, and supervision of marketing – I’m quite fond of free speech, of freedom in as many ways as possible, and I’m afraid some of these methods would limit one’s personal freedom a great deal. All in all, interesting read and thought-provoking theory, but perhaps not one that can exist in practice.